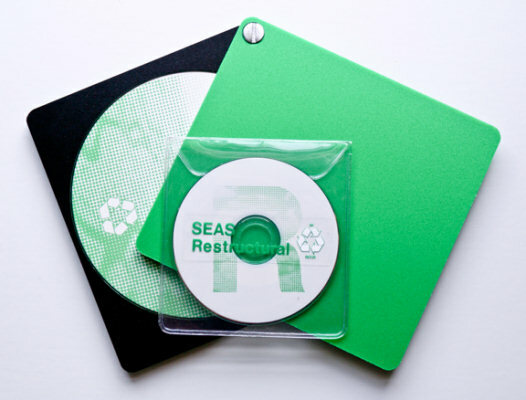 After years of work, deliberation, planning, rumors and anticipation, SEAS 2 is finally released. "assembled landscapes" (field recordings, white noise, textural overlays). that Brian and David have strived to create since the project's inception. 60 copies, and comes with an exclusive bonus 3" EP called Restructural, containing two non-album tracks. tasteful custom printed decals. 100 minutes of new SEAS material presented in a lovely collector's edition. are advised, and a limit of one copy per person is in place. packaged in a high-gloss mini-LP style cardboard jacket with a factory pressed CD-R inside. A bundle option exists in the store for buyers interested in ordering SEAS and SEAS 2 at the same time. of Assembled Landscapes, available for a "pay what you want" price at the Install Digital Archive.